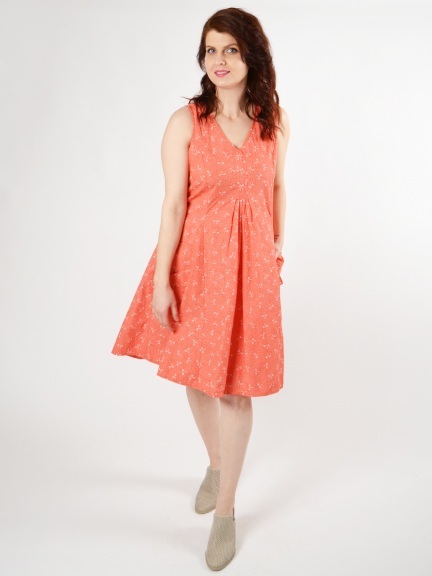 The Poppie Dress has a classic feminine silhouette. Small details emerge; curved back yoke, tiny v-neck fabric crossover and delicate stitched pintucks radiate gathers. Front and back princess seams. Slouchy pockets have welt seams.